Functional medicine has been the mainstream rage for the last several years now. Why? Because we, America, are overweight, over-medicated, and living in reaction versus prevention with a healthcare system that is missing the mark. Functional medicine is a personalized approach to each body as a unique, whole, network of integrated systems. Functional medicine aims at finding the root cause of dis-ease versus slapping a Band-Aid on a problem – a Band-Aid that will eventually fall off. Be forewarned – that within “functional” or “integrative” medicine – there, too, lies all walks of life. The key – educate yourself – and do your diligence in finding a doctor that wants to see you WELL. Having healed various issues on my own accord with nutrition, movement, various forms of resetting my nervous system, using zero conventional medication, I decided to again use myself as a testing ground. While my most recent medical workups were facilitated by a fine MD/OBGYN in Los Angeles with a very East-meets-West mindset, I was looking for more. Plus I was due for another dip in to the doc to check my status. Meet Dr. Ben Kaplan-Singer. After speaking with functional medicine doctors in my own mountain town community, I decided to work with Dr. Ben Kaplan-Singer, a brilliant young M.D. turned Functional Medicine doctor based in Virginia. A year prior, after reaching the beginning-of-the-end of coming back from a severe leg break, I decided to release all vitamins and supplements I was using as I felt I had really replenished my system and was finally rested, back to full capacity, and strong and supple again within both mind and body. Eating organic, plant-based, and leaning slightly geeked out in using adaptogens and other support within nutrition was my norm. Otherwise, I was not even taking a multi-vitamin. So I was pretty curious how I would test. And a little nervous! It turned out that with nutrition alone, complimented by overall lifestyle, I fell into the realm the current trendy nuerohackers are all trying to reach. YES. And do I eat foods I love such as pizza? YES. With a couple small tweaks from Dr. Ben, we are now going full steam ahead. The only changes made are the addition of a multi-vitamin and Omega 3s – just to see if that moves the needle ever so slightly to accommodate my personal, individual, unique, and current needs. Pretty rad. With this experience, I again implore you not to give in to the latest supplement craze, the latest coffee craze, the latest any craze. Get your full workup done. If you have done so, yet are still struggling or not seeing results or know in your gut something is off – get a second opinion. A doctor with a mindset to truly see you well will ask questions far beyond what you would expect. He/she will look at every last detail and offer you exactly what you need versus a one-size fits all supplement – because no one else has a biocomputer just like yours. I’m not saying some of the trendy supplements are the worst things in the world as I too have employed a few. But considering my line of work, I also know immediately if it is something I would consume or not based on a) the ingredients b) the quality and origin of the ingredients, and c) by being in the know on my current needs from A thru Z. Take a little time to educate yourself so that you are not blowing your hard earned cash on an expensive supplement just because it has endorsements by celebrities or pro-athletes. What works in their favor may not work in yours at all. It is important to get to the root of your own system and choose wisely. I mean who doesn’t want to save both time and money in this process? If you have any questions, by all means reach out. This is not rocket science. This is not all kale and no fun. I promise. I take really good care of myself - but I eat pizza and I love cake. And I’m not talking the gluten-free, dairy-free, tastes like cardboard varieties. However, there are some amazing creations out there that delete the questionable items while simultaneously being super delicious. I eat those, too. We are speaking holistically and functionally when we say: Eat whole foods, move your body, drink quality water, take quality down-time, sit and be with yourself, meditate, dance, make love, commune with your favorite humans, do the work, dive deep, give back, find ways, big and small, to experience ecstasies, and give gratitude. If that sounds too good to be true, too simple, too out there, too unbelievable, I want to hear about it. Dr. Ben’s open-minded, open-source mentality plus impeccable bedside manner and follow up are not to be missed. Not in Virginia? No problem. Dr. Ben is taking his show on the road. Learn how you can meet Dr. Ben in person and work with him today. Let’s Après. Dr. Ben Kaplan-Singer, MD is board-certified in Family Medicine and is helping lead the next generation of integrative, holistic, and functional medicine. He currently lives with his partner and her family on their 58-acre farm in Winchester, Virginia, where they practice permaculture and provide a loving home to chickens, ducks, rabbits, goats, and rescued cats and dogs. Their farm is also home to Willow Grove Farm CSA, a chemical-free community sponsored agriculture program in Winchester, Virginia that provides nutrient-dense vegetables and nutritional education to over 40 members. Dr. Ben graduated from the University of Michigan Medical School in 2013 on a full-tuition academic scholarship, and has a degree in Political Science and Chemistry from the University of North Carolina at Chapel Hill. From ages 15 to 19 he researched breast cancer metastasis at the National Institutes of Health and has published multiple scientific papers in cancer research. He obtained additional training in Functional Medicine through the Institute of Functional Medicine while a resident physician, and also received the great honor of working alongside Dr. Mark Hyman, MD at his UltraWellness Center in Lenox, MA. 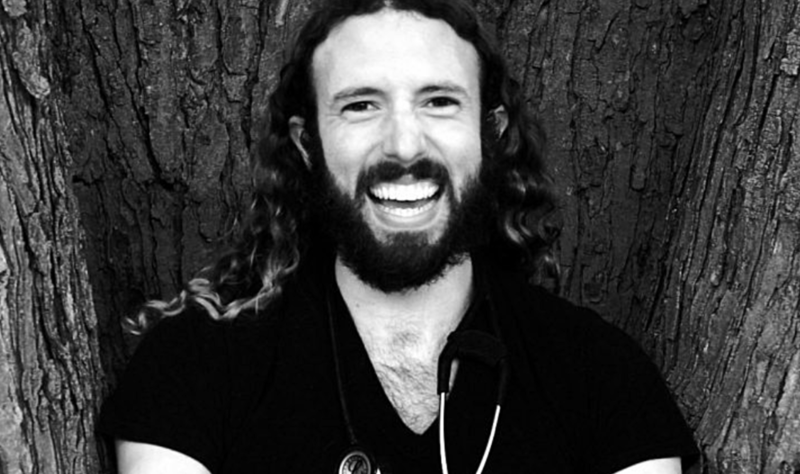 Dr. Ben has traveled and studied in over 40 countries and is a regular attendee at Burning Man. Dr. Ben discovered his passion for Paleo-style living after getting sick in medical school and realizing the inadequacies of conventional medicine. Since then he has enrolled himself in dozens of self-experiments (in the name of optimal wellness and seeking truth), and has found Paleo-style living to provide himself and his patients with a balanced & functional approach to thriving in our over-stressed, over-stimulated, and toxin-laden world.